Kaleido Biosciences, one of dozens of startups hoping to make medicines based on the latest insights about the trillions of microbes that live inside and on our bodies, said Monday it has hauled in $101 million in its latest fund-raising round. So far, the Bedford company — which was founded in 2015 by the Cambridge venture capital firm Flagship Pioneering — has raised about $165 million in three rounds. In addition to Flagship, several new investors are backing the company, including a subsidiary of the Abu Dhabi Investment Authority, one of the world’s largest sovereign wealth funds that is owned by the Emirate of Abu Dhabi. Other new investors include Fidelity Management & Research Company, Invus, and Rock Springs Capital. “We are pleased to have support from our new and existing investors who share Kaleido’s excitement in leveraging the therapeutic potential of the microbiome and the promise of accelerating the discovery and development of products for patients,’’ said Michael Bonney, chief executive and chair of Kaleido. The bacteria, fungi, and other microbes that live in the body — mostly in the gut — make up what is known as the human microbiome. 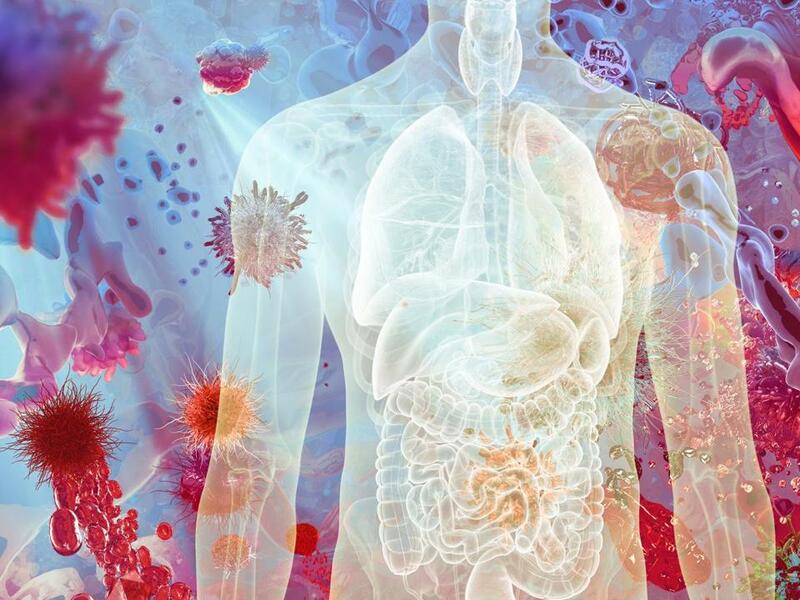 A growing collection of research suggests that this invisible world plays a vital and overlooked role in maintaining our health — so important, in fact, that collectively the microorganisms might even be considered another organ. Just last week, about 250 biotech leaders from around the world came to Boston for a three-day conference to discuss the prospect of developing drugs that change a person’s microbiome. Disorders that may result from an imbalance of bacteria in the digestive system, researchers believe, range from inflammatory bowel disease to Parkinson’s disease to depression. Kaleido is conducting clinical trials for a drug to treat urea cycle disorders by targeting gut chemistry. It is also seeking to develop medicines for other rare disorders. Kaleido has done 10 human clinical studies in the past three years, according to Noubar Afeyan, founder and chief executive of Flagship Pioneering, which has helped start more than 100 ventures since 2000.